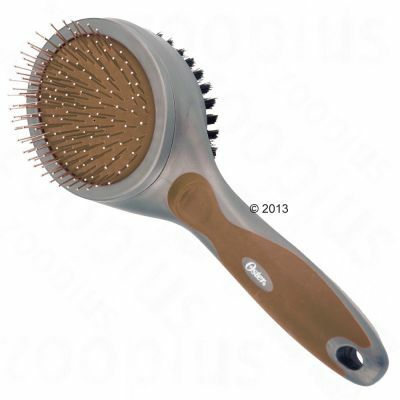 Oster Premium Combo Brush | Great deals at zooplus! The Oster Premium Combo Brush is a two sided brush which lets you detangle your pet's fur and add shine at the same time. 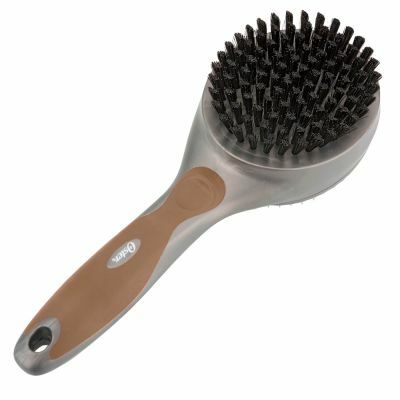 The stainless steel pin bristles will help to remove dead hair and remove the knots from matted fur without causing your pet any distress or pain. The soft nylon bristles will add a healthy sheen. The double sided brush has an anti-slip grip and an ergonomic shape so it lies well in your hand and is easy to use. The bristles on either side are made from premium materials. With the Oster 2in1 brush you can give your dog a professional groom.